It is time for some spring cleaning to get your body ready for warmer weather full of sunshine! Nothing is worse for your skin than a long, cold winter which can leave your skin looking dull, dry, wrinkled and even older. As the days get a little longer and temperatures finally begin to rise, off go the heavy clothing and on go the skirts and sandals that show your skin. But while you may be singing the praises of spring, it’s likely your skin has the winter blues with dry, stressed-out, undernourished skin. When our arms, legs, and feet aren’t on display the way they are during warmer months, we don’t pay much attention to things like dry, dull skin. The best place to start is with a moisture treatment for your body, which can easily be achieved in two steps revealing beautiful, spring and summer ready skin! First, start with your favorite full-body exfoliating scrub (any body scrub will do). 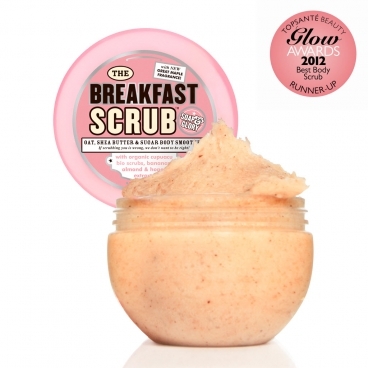 My absolute favorite is The Breakfast Scrub Body Exfoliator by Soap & Glory. I absolutely adore this product because it is gentle, but effective and it smells delicious with oats, shea butter and sugar body smoother. Just scoop out a handful of your exfoliating scrub and rub it between your palms, then scrub in circles onto damp skin over your entire body (excluding your face) until you feel smoother skin. The result: Softer, suppler, and less dry skin instantly. Second, apply your favorite super-moisturizing body butter or lotion to your damp, freshly exfoliated skin (excluding your face) to trap in the moisture on your skin. 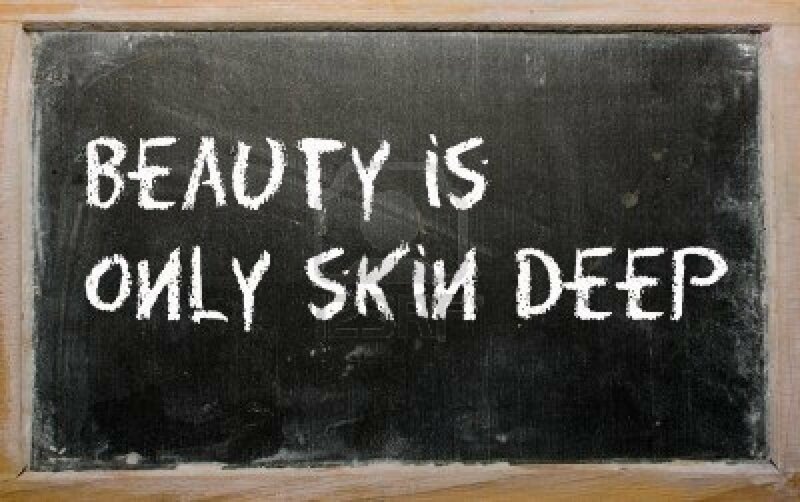 When your skin gets dry, it cracks and peels and becomes more prone to damage from free radicals which are one of the main causes of aging. 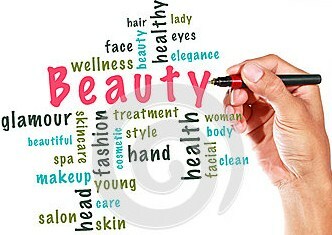 Using a moisturizer daily helps to keep free radicals off of your skin, therefore fighting the aging process. Moisturizing is one easy step you can take to prevent wrinkles and keep your skin looking fabulous. So, I cannot say this enough MOISTURIZE, MOISTURIZE, MOISTURIZE! 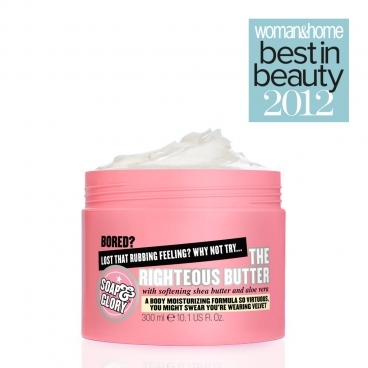 My favorite moisture-rich body butter is The Righteous Butter by Soap & Glory because it’s smooth, creamy, and intense body butter that really leaves the skin hydrated with skin softening shea butter and aloe vera to attract moisture. The result: A radiant, moisturized glow on your entire body. More often than not, you’re going to need a separate exfoliating scrub and moisturizer for your face. Most body exfoliators are too harsh for your face and body butters and body lotions use oils that are too greasy and rich for the pores on your face. Most face lotions don’t offer enough hydration for really dry areas such as your elbows and knees which is why you need separate scrubs and lotions for your face and body. So, when you treat your skin to the two steps above, don’t just slap this product on your face too, thinking it will give you the same benefits as it does to the rest of your skin because it doesn’t and it will defeat the purpose of obtaining healthier skin. This weekend make time to relax, unwind, and treat your skin. Let the body pampering begin and head into spring with your best skin forward.